This is a lesson about creating a lesson. The goal is to create a mini lesson targeted at casual picture takers who wish to increase the appeal of their pictures. I personally love creating photographs, and have learned some tips along the way to make my photographs more interesting. I also love the process of instructional design. It is a process of discovery. As I think through this lesson, I’ll disclose my thoughts and my strategies, my steps and my missteps. This isn’t a typical course in which I have a context that includes a learning situation and learner characteristics. For one, this is a mini lesson (i.e. one learning object) and not a course. I’m not beginning with set course goals and a set of learners. I’m establishing my own goals and hypothetically inviting anyone who would benefit from those goals to participate. I’m also not writing about activities that an instructional designer would design and hand off to a team that includes a graphic designer, programmer, media specialist and other support. I’m writing about ideas that any instructor can use with the right tools. Obviously, I am biased towards the LodeStar tool because I’m its parent, but these strategies can be produced with any third-party tool that plays well in learning management systems like Blackboard, Moodle, Desire2Learn and others. The intended audience for this blog post is composed of instructors who want to improve their online learning but have little time, few technical skills, and little help. If that sounds familiar you’ll want to read on. 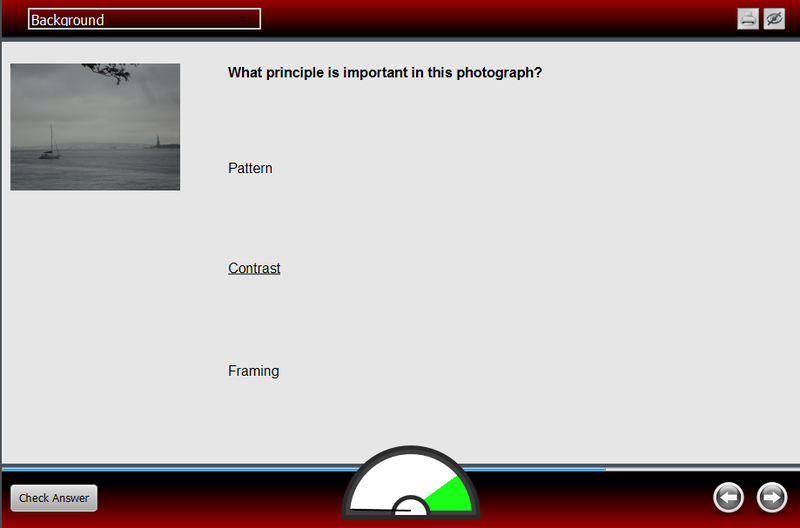 I chose a lesson on photography because that is a topic familiar to most people. I could have chosen Canadian literature or Object-Oriented Programming but the topic of photography would appeal to a broader audience. At first blush, it will seem like the activities (strategies) I use only apply to a technical subject. That just isn’t the case. Most online learning in a variety of disciplines would benefit from activities that engage students in different ways. You’ll need to imagine how this lesson might apply to your own discipline. For some it will seem like a bit of a leap of imagination. If I were designing a lesson for a real audience, I would have to understand much more about the intended course outcomes and where the students are at. I would have to consider more carefully the size of class, the constraints of the teaching environment, the specific challenges of the curriculum, the skills and attitude of the learners and more. I am designing this lesson for a particular learner: one who has little technical knowledge but has an interest in improving the quality of his or her photographs. These are picture-takers who may possess anything from a cell phone to a digital single lens reflex camera. My design decisions need to reflect that. Forming learning objectives is an important next step. One really needs to understand the type of learning outcome and then choose strategies or activities that support that learning outcome. My favorite text on this subject is written by Patricia Smith and Tillman Ragan. I cite the source later in this article. Learning objectives should be specific, measurable, and achievable. The learning objectives will cover basic facts (declarative knowledge), concepts, and principles. The intent is for the learner to acquire the foundational knowledge that he or she will need in order to recognize key principles of composition when shown some photographs. So here is a first pass at defining some objectives for my mini-lesson. 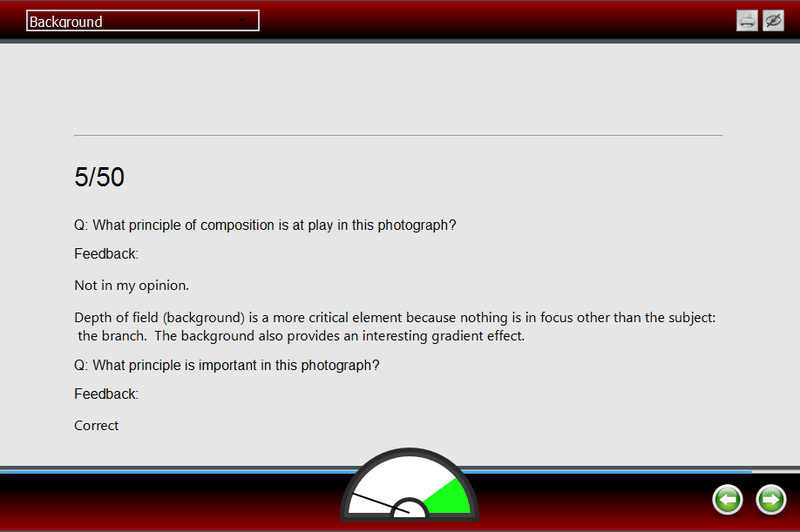 Define key terms such as aperture and shutter speed. State how exposure is affected by aperture and shutter speed. List five principles of composition that raise the quality of photographs. Identify the illustrated principles of composition when shown a series of photographs. Identify which principles of composition he/she is already using. Choose to apply new principles to his/her own picture-taking. My next consideration is instructor’s presence. How much of me will I inject into this lesson? I decided to be informal and to make mention of my past. My decision is based in part on Richard Mayer’s work in Multimedia Learning. Here is the principle that research shows has a positive impact, cited from Multimedia Learning. Mayer, Richard E.. Multimedia learning. Cambridge: Cambridge University Press, 2001. Print. At the end of the day what will matter most to learners is that they can apply the principles of composition and exposure to their own picture-making. The learning object should bring them as close as possible to this outcome. My immediate thought was a simulation – a simulation in which learners could change the settings and the camera angle and see the effect. For this subject matter, simulations exist. I plan to include one: CameraSim. It is brilliant. The challenge, however, is that for most instructors, simulations are not really an option. If one doesn’t exist on the web, the opportunity of including a simulation is rare. Too much online learning is created on a shoestring budget. Faculty are given a small stipend, little training and are asked to command the attention of their students with what little mastery they have of media. Exceptions exist. If you do have time, there are ways to construct simulations without knowing computer code. One great way is with an application called ZebraZapps. Again, I am biased here because for a time I served on the ZebraZapps team under Dr. Michael Allen. This is a cloud-based application found at https://www.zebrazapps.com/ In fact, I did create a small simulation that helped to demonstrate the concept of ‘Depth of Field’. Had I more time, I could have used ZebraZapps to produce something similar to CameraSim. Photographic composition as a subject is not unlike what one can imagine in university courses. Students should have the opportunity to apply foundational knowledge, concepts and principles to making key decisions, solving problems, evaluating options, and building things. As designers, we have to think about whether that foundational knowledge is needed as a prerequisite building block or can be learned in the context of decision-making or problem solving? Do we give learners the facts in a supplantive manner or do we help them to infer the facts? Meaning, do we present the facts or help learners figure out the facts for themselves…or the underlying concepts, principles, etc. It is paramount that instructors understand what kind of learning objective they are hoping learners will achieve. Is it declarative knowledge (facts that students recall) or a concept, principle, procedure or problem? Is the learning objective cognitive, psychomotor (e.g. gymnastics), affective (attitude), or metacognitive (learning about learning). That makes a difference because, given the objective, I draw from a set of strategies that experience and research tells me are effective for that type of outcome. The opening message is always an interesting dilemma. I realize that I am only creating a mini-lesson, but let’s think about online courses for a moment. Most post-secondary online courses start with the syllabus, schedule and the house-keeping details. Students appreciate that information. They are reassured that they are going into a house that is in order and that they won’t encounter Norman Bates who will slash into their GPA. I personally believe that the house-keeping documents are important but I long for something else as the first beat. I want the hook, the ‘thing’ that assures me that this course is relevant and will impact my life. I want to be persuaded that, as a result of this course, I will be able to do something I haven’t been able to do before – and it is something that will help me. Similarly, for this lesson, I need to think about the first screen. I suppose it could be instructions on how to navigate, housekeeping, but for the simple interface I’ve chosen, it is not really necessary. For visually handicapped learners, the navigation is identified by ARIA roles, information that reveals the navigational controls. This feature is built into the tool and doesn’t require instructor action. Outside of instructions, I have many options. I could embed a video of me, as an instructor, making the case. Or I could embed a YouTube, Vimeo, or MediaSpace video that uses personality, imagery, sound and a remote site to demonstrate the relevance of the topic. Notable instructional designers frequently write about establishing relevance in their own distinctive ways. Specifically, refer to writings and presentation of Dr. Michael Allen, Thiagi Sivisailam, Richard Mayer, David Merrill, Patricia Smith and Tillman Ragan. Establishing relevance is a critical early step. Or, I could create some cognitive dissonance. I would challenge a student who thinks he knows everything about the topic to a problem. The inability to solve the problem can render the student more receptive to the instruction that follows…or it could totally incapacitate the student and lead to a course drop. The careful use of cognitive dissonance can be an effective strategy or, if misused, can be counter-productive. In the past, I have chosen all of the above options. I’ve also thrown the students into a simulation and asked them to generate the rules. This technique is known as generative (versus supplantive). Smith and Ragan write about that in their book “Instructional Design”. Smith, Patricia L., and Tillman J. Ragan. Instructional design. 3rd ed. Hoboken, N.J.: J. Wiley & Sons, 2005. Print. In this case, I chose to get personal. I have recently been struck by some simple approaches used by faculty at the university where I work. One was a professor of Non-Profit and Public Administration. He launched his course with a personal disclosure of why this course was important to him. The instructor was reaching out through this online medium and connecting with students who shared the same values and aspirations. It was effective. So I start the lesson in the simplest manner possible, by injecting a little of me onto the page. But very quickly in the lesson, we need to hear from someone with more credibility than I have in this field. 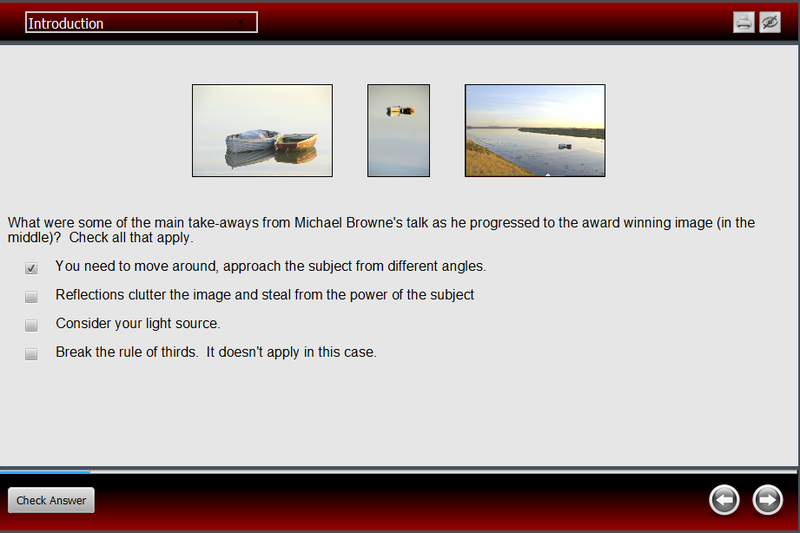 I chose Michael Browne because he re-enacts and exposes his decision-making as he ‘finds’ pictures. There are several benefits to including Michael Browne’s video. One benefit is the instructor modeling the thinking process. Students benefit from watching instructors work through problems (Smith and Ragan). Secondly, through video, we are being transported to a place beyond the ‘page’. In this video, we travel to two sites and listen to Michael Browne as he plans his shot. Recently, I heard a short presentation by an ed tech innovator who lamented that learning management systems were ‘frozen’. The world has moved on with social networking and the interoperability of applications. I know precisely what he meant, but at the same time I appreciate that the learning management systems offer us a blank window in which we can display any content we wish that ranges from embedded content, to linked tools through Learning Tools Interoperability to imported learning objects. The LMS can provide the overall authentication, administration and accountability functions but anything can happen in that blank window. To embed Michael Browne’s video, I benefit from LodeStar (www.LodeStarLearning), which allows me to do this easily. I simply choose the video layout page type and paste in the url of the YouTube video. But there is a bigger principle at play here. And that is, embedding videos or any media that supports embed. If I didn’t have LodeStar, I would look for the word ‘Share’ or ‘Embed’ near the media asset. For example, in YouTube, I click on ‘Embed’ below the video and that provides me with a code snippet that I can paste into a learning management system like Blackboard or Moodle. This means that you are embedding a frame onto the page through which the video will display. Technically, this is called an iFrame. The width of the iFrame will be 853 pixels and its height will 480 pixels. 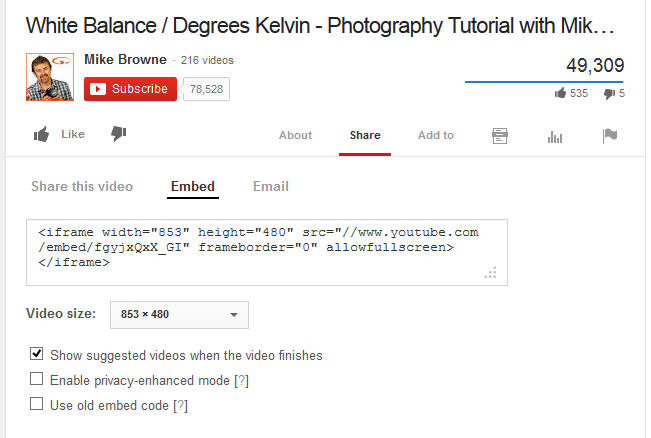 The rest of the information spells out the source of the video and some of the video and frame property settings. For example, border or no border. Here is what that looks like. Many many things can be embedded. 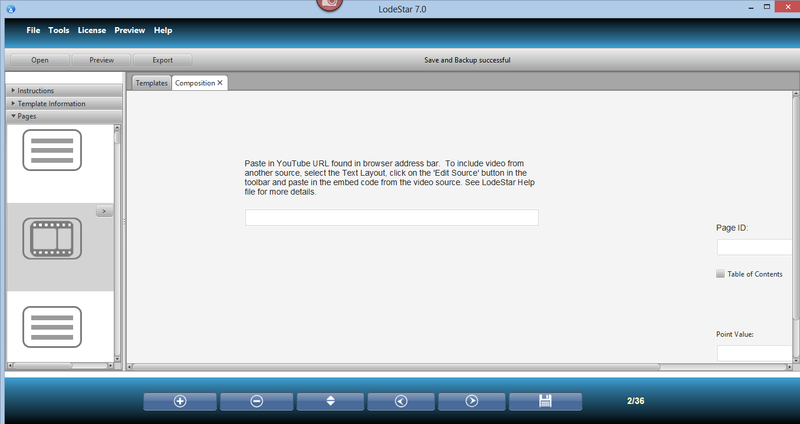 In LodeStar, an alternative way of embedding is to click on the <> icon in the html editor. Then just paste in the iFrame code snippet. After displaying a video, or even a simulation, I find it helpful to check for understanding. This is a very basic practice that we do in the classroom and neglect to do online. Perhaps the Learning Management Systems (LMS) make it too unwieldy to generate quick formative assessments. We tend to use the LMS quizzing tools for summative assessments that Dee Fink describes as audit-ive assessments versus educative. David M. Merrill and other researchers tell us that students benefit from frequent feedback that they can apply to future tasks or assignments. Dee Fink emphasizes the importance of frequent and immediate feedback in what he calls Fidelity Feedback: Frequent, Immediate, Discriminating and Loving. By discriminating, he means that feedback should show the difference between poor and acceptable work. Before we can launch into the main part of the lesson, which discusses principles of composition, the learners need prerequisite, foundational knowledge. The learners must understand aperture, shutter speed, ISO and their relationship to both depth of field and exposure. Originally, I introduced the composition principle of ‘background’ first and then introduced the technical aspects of depth of field. I believe this was a misstep. I intended to help students understand why they needed to understand Depth of Field and the concept of aperture and then launch into a technical discussion. This, however, really broke up the flow of the presentation on principles. The technical discussion seemed more of a digression. And so I reordered the lesson and changed my transitional statements. Students often talk about ‘learning by doing’. Either ‘learning by doing’ or ‘learning by thinking’ is engagement. Engagement can happen on multiple levels. We think of the student as being ‘engaged’ when the student interacts with other students, instructor and/or content in a way that makes the student think. That thinking might involve defining, classifying, categorizing, applying, problem-solving, evaluating, creating, and any one of numerous actions that appear in teaching and learning taxonomies. 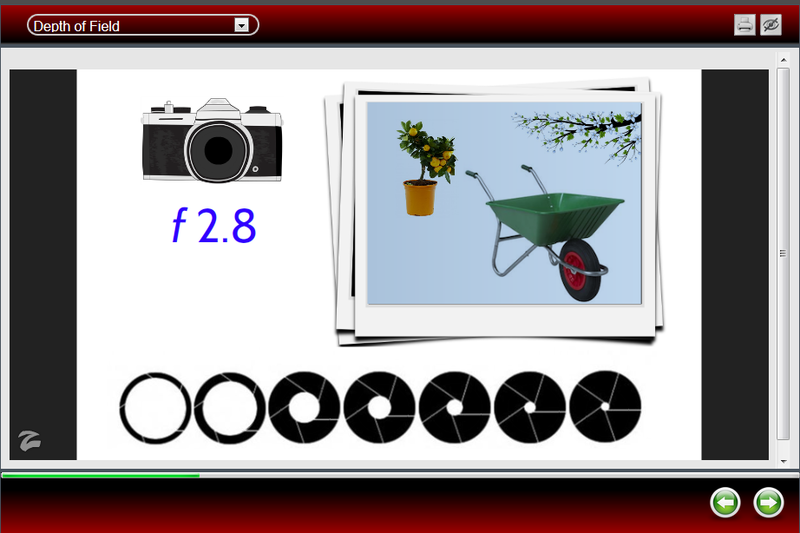 In this lesson the camera simulation will invite student interaction. Students will be able to adjust aperture and other settings and get immediate feedback. Do they have the knowledge, however, to make sense of what they are seeing? I could design the camera simulation activity as a generative activity. In other words, I could ask students to change the settings, observe the effects, and infer some key principles. Alternatively, I could scaffold the activity. I could isolate the key principle and then introduce the simulation. I chose the latter. I quickly developed a low-tech simulation in ZebraZapps. I then embedded the simulation in the same way that I described earlier – with an embed code snippet. ZebraZapps offers several options for doing this. I wanted to simplify the relationship between aperture (size of lens opening) and depth of field. In reality, it is not quite as simple as that. When you change aperture, you must change the shutter speed reciprocally or you affect exposure. I included a YouTube video to describe the triangular relationship between aperture, shutter speed, and ISO. The primary concept related to composition is ‘depth of field’. If students understand depth of field, then what follows will be easier to understand. 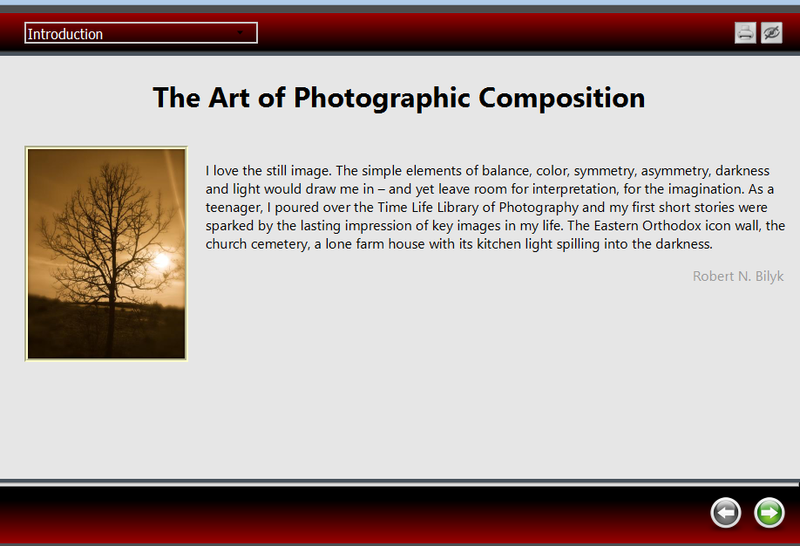 In the heart of the lesson are seven principles of composition that anyone can apply to improving their photographs. The presentation combines text and imagery. The presentation is followed by a short exhibition of photographs, The learners are asked to recall the principles of composition as they view each photograph and then they are held accountable by the challenge. The final activity is the challenge. 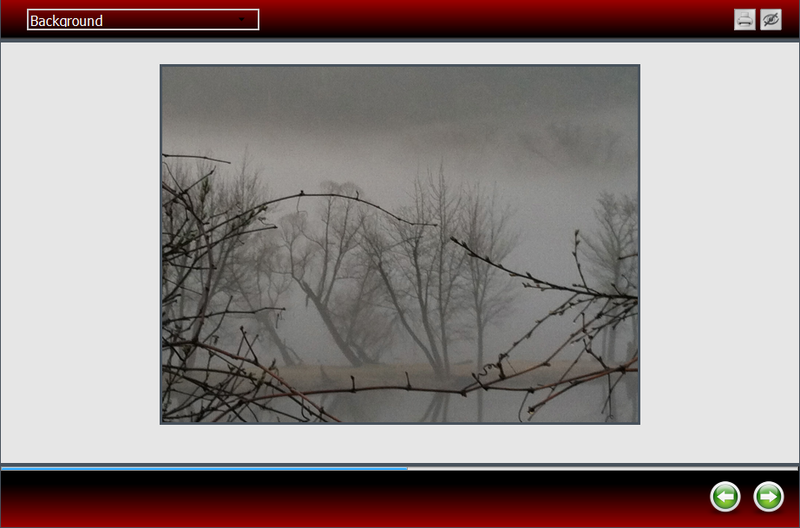 In the challenge, the learner is shown a series of photographs and asked to identify the main principle applied. The learner gets immediate feedback for each answer and sees his or her progress in the meter. At the end, a report displays the final score and all of the feedback, which can include links to resources or references to chapters that will help the learner. Finally, the learner passes through a gate and receives customized feedback based on whether he passed or failed. The following is a summary of the strategies that were used in this lesson.